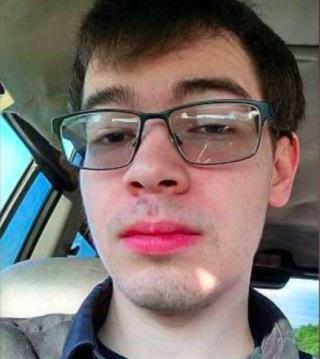 (Newser) – A multistate manhunt for a Tennessee man is underway after he allegedly confessed via Facebook that he'd killed his mother and best friend. The New York Daily News reports Casey Lawhorn, 22 or 23, said Sunday in the now-deleted post that he used a stolen gun early that morning to first shoot his friend, identified as Avery Gaines, 22, as he slept, then his own mother, Vi Lawhorn, whom he described as being too drunk to realize what was happening, USA Today reports. Per WTVC, police who arrived at the East Ridge home where the crime took place (Lawhorn called 911 before fleeing) found two bodies, later identified as Gaines and Lawhorn's mother. "She started screaming the worst scream I've ever heard," Lawhorn wrote in the post about shooting his mom. "Movies really don't do justice to how true terror sounds." Defective DNA. Why do so many suicidal ppl commit homicide first? No kidding. Anyone that can even contemplate killing another human being lost his feelings long ago. How terribly sad to have an alcoholic parent and you wonder where the father is.